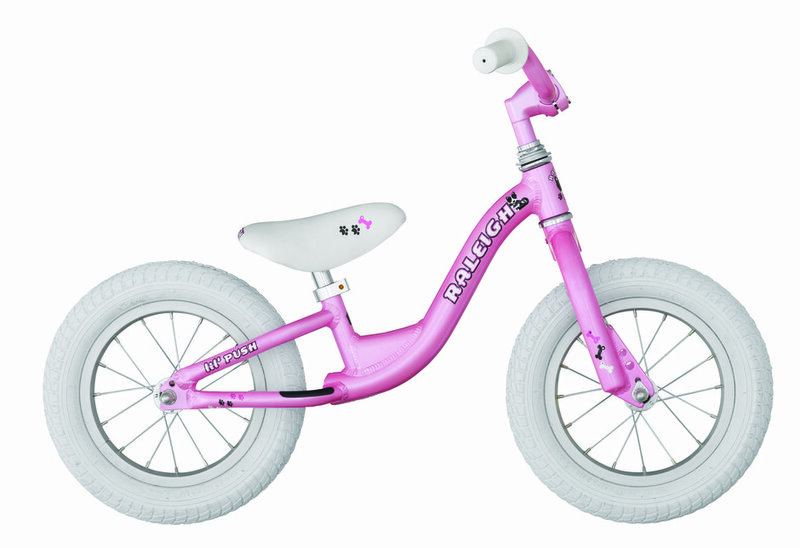 The Lil’ Push is the ideal first bike for boys and girls who are ready to learn cycling basics in a fun package. 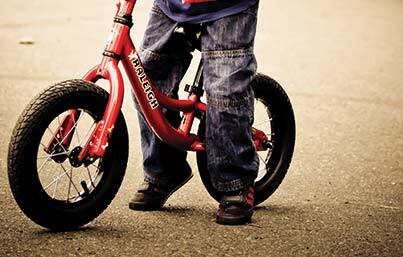 Being pedal less helps young children learn the necessary balance and control before graduating to a “big kid” bicycle. The Lil’ Push will make a child’s first experience with cycling memorable, inspiring, and frequent. A fun and safe experience starts with proper bike fit. All of our 2014 youth models have new geometries to ensure they have the right fit and provide the safest handling possible.The geometries were optimized for specific rider heights, and we used pediatric growth charts to link these rider heights to their corresponding age.The result is our all new sizing system for youth models. 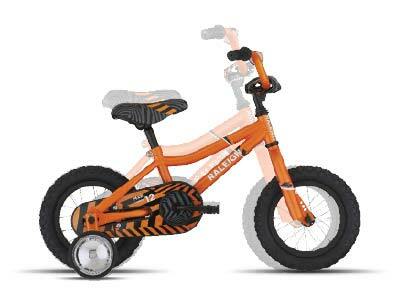 We all know how challenging purchasing a kids bike can be, since they are often bought as a present. Without the child there to try the bike, it's almost impossible to make sure it fits right. This is where our new sizing decals will help you out.The Raleigh Sizing System decals have both rider height and age on them to simplify the sales process as much as possible and to ensure every little tyke gets a perfect set of wheels to ride. 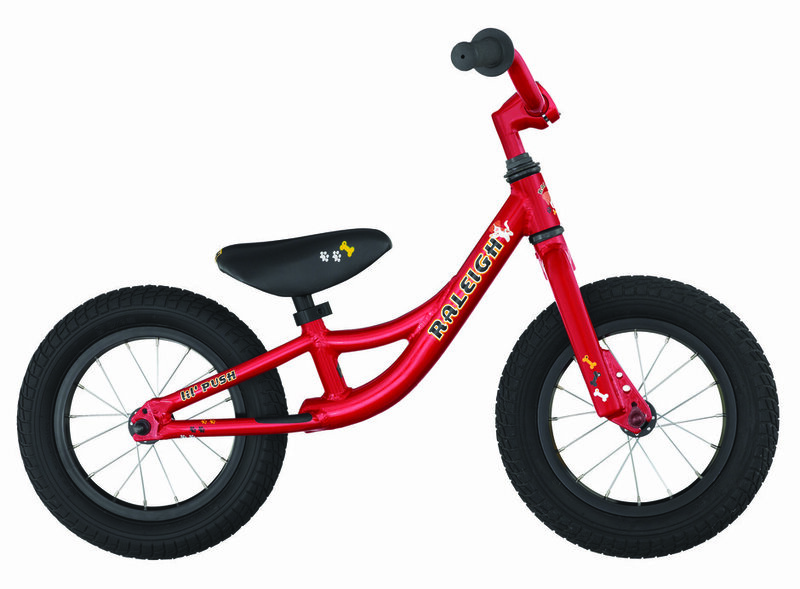 We all know how challenging purchasing a kids bike can be, since they are often bought as a present. Without the child there to try the bike, it’s almost impossible to make sure it fits right. This is where our new sizing decals will help you out. The Raleigh Sizing System decals have both rider height and age on them to simplify the sales process as much as possible and to ensure every little tyke gets a perfect set of wheels to ride. A fun and safe experience starts with proper bike fit. All of our 2014 youth models have new geometries to ensure they have the right fit and provide the safest handling possible. The geometries were optimized for specific rider heights, and we used pediatric growth charts to link these rider heights to their corresponding age. The result is our all new sizing system for youth models. All our youth frames were updated to reflect the new Raleigh Sizing System. Important changes to the handlebars and geometry were made to optimize fit. Adjusting fork offsets and head angles minimizes the effect of wheel flop. This is key because the right amount of wheel flop makes our smallest bikes more stable and therefore safer. Our kids bikes are as easy to ride as they are fun. Time to get rid of the training wheels and start tearing it up!